I surmise employer branding would be high on the new manager’s agenda. They would try and communicate the company’s unique brand (think: Lady Gaga, Michael Jackson, or George Clooney). They would want their company to be a star. They would have visions of crazed jobseekers (fans) running towards the company (think: The Beatles arrive in the USA, Elvis). And they’d desire to reach and win over the hearts and minds of new fans (jobseekers) and continue to feed the connection (or addictions) of their current community of fans. the company logo appears to be the only real differentiator between their company and its competitors - similar look and messages, different logos. the employee value propositions and brand statements don’t connect emotionally with fans. lots of static content and little of anything that actually encourages social engagement with the brand. company employees, the corporate recruitment team and external recruitment partners do not appear to be fans of the company or the employment brand, let alone act as brand champions or motivated referral agents. 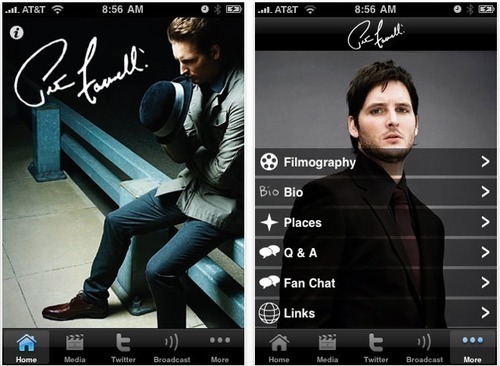 fans are lost deep in the database and long ago drowned in the company’s talent pool. little initiatives have made it from the lengthy and outdated strategy documents to the pilot or implementation phase. Why would someone work here versus XYZ company? (probably asking some recently hired fans). Are we able to deliver on our brand promises? (NB, even stars have their flaws). What do our existing EVPs really mean? Does ‘teamwork’ for example really tap into our fans’ motivational drivers, or is there something deeper - like a sense of belonging, having fun with colleagues, the desire for creative expression involved in developing new ideas as a team? How do we communicate our aspirational story? Do we need to show this as lengthy written statements or bullet points? (think: Apple). What’s our one key message? (think: Coca Cola’s ‘Open happiness’). Should we be creating an experience - letting fans interact with our brand and culture, rather than us telling them about it? How are we going to grow our fan-base? Do our recruiters (let’s call them DJs) want to step into the limelight - are they ready for the star lifestyle and associated hard work and support required? How will we create a recruitment experience where fans (even our unsuccessful applicants) want to be brand advocates and enlist their colleagues as fans? A week later, the new manager would likely launch a unique employer brand that fans go crazy for, and a series of gigs and appearances. We would also likely see a few real life examples of social recruiting. 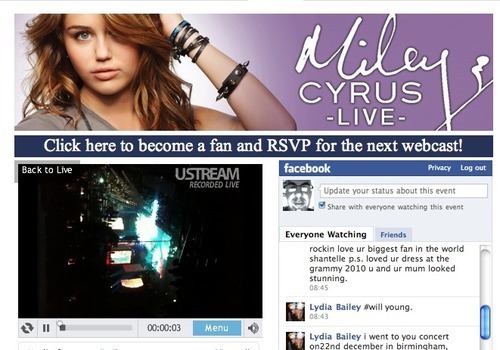 Miley Cryus and her live-streaming shows on Facebook were the inspiration for Deloitte New Zealand. Could we, as HR / recruitment professionals, learn from the entertainment industry? What other industries could we learn from? I’m pleased my client Deloitte New Zealand is receiving global recognition for their use of social video on their Facebook graduate fan page. Take a look at this write-up - I’m grateful for the mention from my client. It is also great to watch the strategy develop. Check out the ((Faces)) tab. More initiatives / features will be coming soon. You are currently browsing the Engage Blog - New Zealand’s specialist recruitment blog weblog archives for February, 2010.